Adjust the oven racks to the 2nd and 4th positions and preheat to 375 degrees. Combine the Flour, Salt, Baking Powder, Cinnamon and Cloves in a medium size bowl. Set aside. In a large mixing bowl, cream the Butter with the Brown Sugar. Beat in the Vanilla and Eggs until very well mixed. Stir in the shredded Apples and the Raisins. 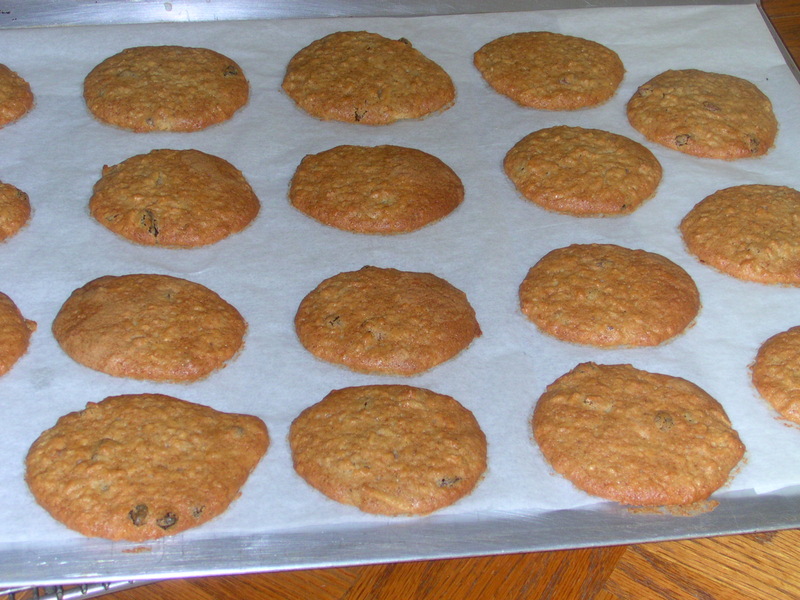 Drop by the tablespoon (or use a # 60 food scoop) to shape the Cookies. Bake the Cookies for 20-25 minutes or until a deep golden brown. When the Cookies are done, place the pans on cooling racks; when the Cookies are cool, use a spatula to remove them from the pan.